If you read the blurb above for this book I probably know what you are thinking about this book. 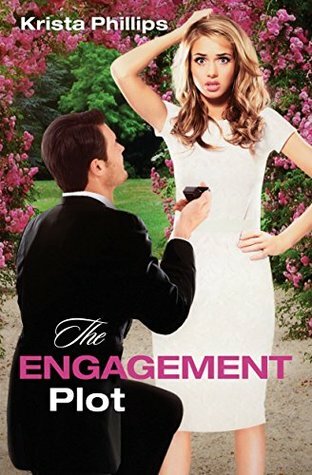 A light, fluffy, brain candy sort of book picking up on the "Bachelor" reality TV show. Right? Because that's kind of what the blurb would have you think. But. I'm here to tell you that this book is more than that. In fact, the story picks up months after the reality TV portion happened. Yes, Hanna does do some remembering of certain moments and there are certainly some very "in the public eye" situations, but I loved the very personal sort of feeling I had while reading this book. These characters, Hanna and William, have depth. As you get to know them better, you can easily see their strengths and weaknesses. They both do a lot of growing and learning throughout this book. It's a process and one I enjoyed very much. There was an obvious attraction given the history between William and Hannah and though they both try to squelch it, it just won't go away. That leads to some sparky situations full of tension. Yup, that was good stuff too. This book has very obvious Christian elements. There is nothing overly preachy but it is there. I thought the whole book was well done and had a good balance of both the lighthearted, fun moments and the more serious, soul searching moments. I enjoyed it from beginning to end! I'm looking forward to reading more by this author.